I played some Marvel Legendary on Tabletop Day at my local store. Sentinels of Multiverse, just like every weekend. I didn’t get any Last Night on Earth in this weekend. Sentinels of the Multiverse, Ghostbusters, and Star Realms so far. Probably get some Last Night on Earth in. @HaiKulture That is what I expected. Thanks Fox. Is this out of print? It’s on Amazon for ~$200. Any word on it coming back in print so I can get it for 10% of that? Finally got it. Had to go to like 7 different stores in 2 states. Ended up finding it in a Barnes & Noble in a different state. I constantly forget to put Ra’s on the bottom of my deck. And I love that mechanic. Which agitates me that I love it so much yet keep forgetting it. In other news, I just got my pledge in for the Season 2 kickstarter. 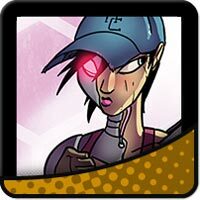 Geek and Sundry has an article about Sentinels of the Multiverse up. The Kickstarter is done. Now we just need to waste 10 months. @HaiKulture Yeah I got the $54 level. I’d guess that if you got the game in a store it would cost $40-$50. I’d also say that all the stretch goal items are worth at least $60. So for $39 you are easily getting $100 of value. Got in on the Kickstarter. Enough to get the Hero Promo pack!